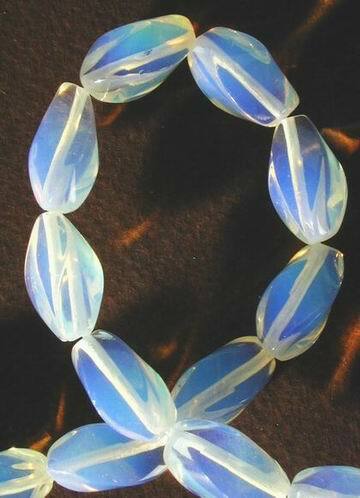 Each of these unusual beads measure 18mm x 10mm, about 23 to the 14-inch strand. Price is per bracelet measuring 2-inches inside close - but alough small, will expands to fit all but the largest wrist. Each double bead is 12 x 6mm.